This year’s Apple Worldwide Developer Conference (WWDC) brings us, as usual, a new version of macOS. Despite various suggestions for what to christen this forthcoming update, Apple tricked everyone and chose a most unexpected name: macOS High Sierra. The similarity to the current macOS Sierra hints at the minor improvements most users will see. However, there are many bigger changes under the hood. With High Sierra, Apple claims its Safari web browser is faster than all competitors, and presented various benchmarks as evidence. This bold statement was followed by the introduction of Intelligent Tracking Prevention — a feature that means Safari now has content blocking built-in, automatically halting those annoying auto-play ads with sound in their tracks. Safari will also be more privacy conscious, blocking attempts to access cookies on your Mac that are deemed to be an invasion of privacy. The Photos app also received a few improvements. With better facial recognition and a persistent sidebar, it’s easier to search for objects and scenes, or filter your library more intelligently. If you don’t have Adobe Photoshop installed or don’t want to spend your time poking around inside complicated editing software, High Sierra brings simple but helpful photo-editing tools to Photos, which sync across all your devices. Live Photos can be edited with special effects, while the Memories section of the app is a more intelligent and thoughtful curator of your memoirs. Apple has also tweaked Mail.app, bringing full-screen, split-window support and better organization with improved Spotlight search that will serve up the most relevant results first. The macOS update also encouraged Apple to move to the H.625 video standard, with support for improved 4K playback and efficient decoding of ultra-high-resolution video content. Those improvements are coupled with the launch of a new graphics API for developers: Metal 2, which is more efficient than its predecessor (up to 10x in many cases), with support for VR content. Finally, the Apple File System makes it’s debut with High Sierra. APFS is a next-generation file system for Apple products based upon the iOS, macOS, tvOS, and watchOS software platforms, which now covers devices from the diminutive Apple Watch all the way up to Mac Pro. It’s optimized for Flash/SSD storage and features strong encryption, copy-on-write metadata, space sharing, cloning for files and directories, snapshots, fast directory sizing, atomic safe-save primitives, and improved file system fundamentals. Apple claims APFS vastly accelerates the speed of actions like duplicating large files, while boasting improved performance, security, and reliability. All users who upgrade should see noticeable gains in day-to-day use. 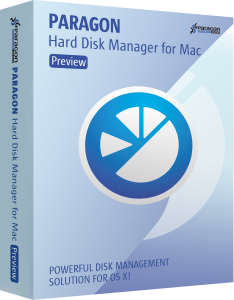 To celebrate this news, we’re offering big savings for our powerful application that covers all aspects of the computer’s life cycle: Paragon Hard Disk Manager for Mac is now available with a 20% off discount! 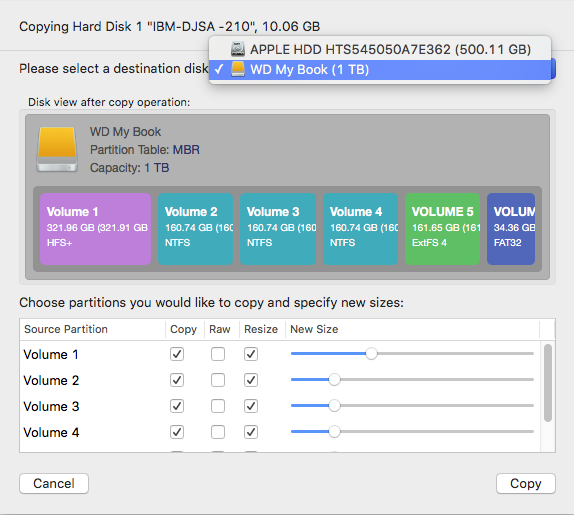 HDM for Mac includes drive partitioning, file system optimization and repair functions, data backup capabilities, irreversible data wiping, and much more. macOS High Sierra is available as a public beta for early adopters in June from beta.apple.com, and is currently free to download for all Mac developers at developer.apple.com. The new macOS 10.13 will arrive as a full release for all users with compatible Macs and MacBooks this autumn. Past few days we all have been following the breaking news on the fast-spreading WannaCry ransomware affecting globally hundreds of thousands PC systems around the world, and are wondering what is this virus and whether your computer system and data might be at risk. 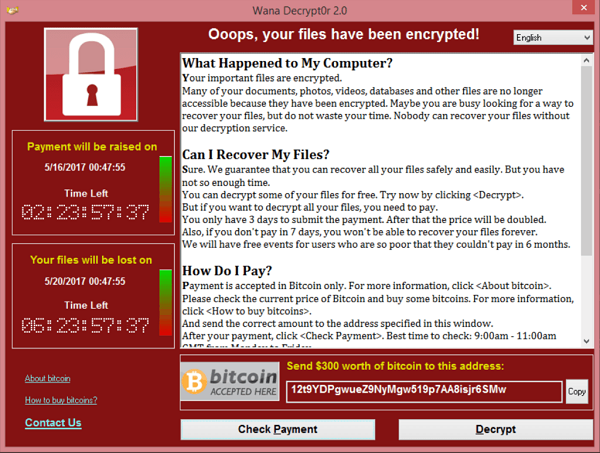 WannaCry, like any ransomware is a computer virus that usually spreads via spam emails and malicious download links. The virus is designed to lock up computer files and the ultimate goal is to blackmail the affected user until the victim pays the ransom demand, usually $300-$500 in Bitcoins. WannaCry is especially malicious because it spreads itself and doesn’t even require the user to click any link or open a file. Now most of us wonder how to make your system and data secure. Planning your data protection and recovery strategy is essential to any PC user. This awareness guide will help you be cautious and save your valuable data on PC from WannaCry or any other potential ransomware threat. In addition to installing anti-virus software like Kaspersky or similar solutions, every PC user should implement stringent backup controls with snapshots to increase safety from attacks and prevent possible data loss. Since this widely spread global cyber-attack is just one of many to hit users, reliable system and data backup is always the key to protect against such malware threats. 1. Backup your computer with the reliable backup solution. 2. Update your Windows OS with Microsoft’s latest fix. 3. B careful of opening any unknown emails, websites and apps. 4. Use anti-virus protection software in conjunction with a firewall. To help users protect their systems and valuable data, this week Paragon Software Group started offering all new and existing customers of Paragon Hard Disk Manager 15 Suite and Paragon Hard Disk Manager 15 Professional – the all-inclusive data management tools with full Windows 10 Creators Update support, Paragon Backup & Recovery 16 software absolutely free of charge. 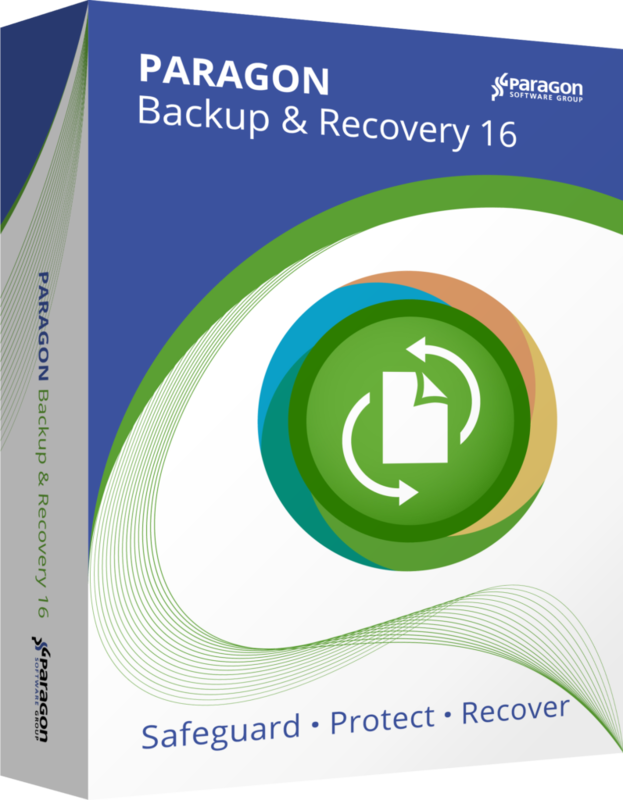 This essential tool can be used alongside Paragon Hard Disk Manager for stronger backup functionality, or separately on other devices. Stay safe and always backup your system. 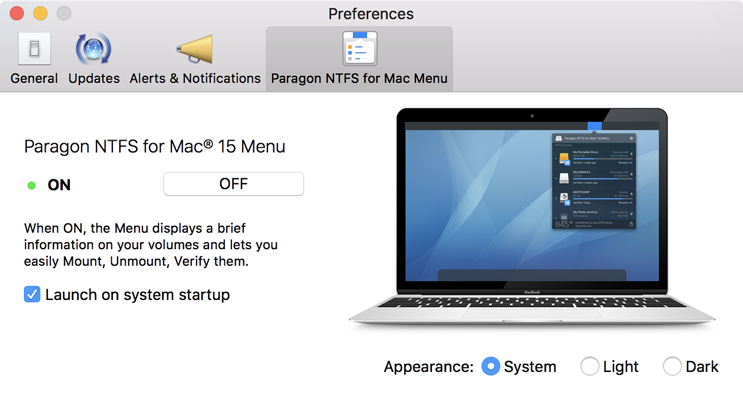 It finally happened: We’re releasing a preview version of Paragon NTFS for Mac 15! Two years have passed since version 14, during which time we’ve gathered a lot of feedback from you. 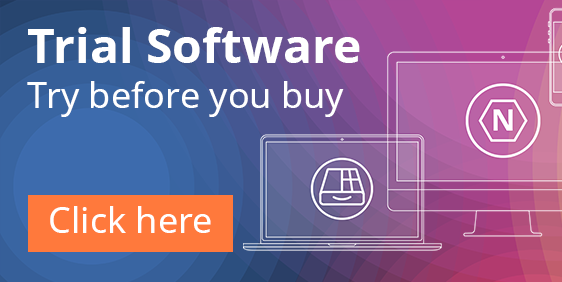 So, let us proudly present a fresh version of our well-known Mac software utility that eliminates boundaries with the Windows operating systems, enabling full read and write access to Windows-formatted drives on macOS. The new edition comes with a robust new engine that guarantees advanced support of the latest NTFS file systems such as Windows 10 system compression and provides even faster, more transparent access to NTFS partitions under macOS. Based on your feedback, we’ve also added support for two color themes: Dark and Light. The first option, “Mount in read-only mode,” denies write access to the selected volume to keep sensitive data intact. The second, “Do not mount automatically,” prevents a volume from being mounted automatically on system startup or when the storage device is reconnected. Spotlight is a search feature of Apple’s desktop and mobile operating systems designed to quickly locate specific data including documents, music, and pictures. Spotlight also delivers other benefits, including quick access to definitions from the built-in dictionary. This feature is helpful without compromising performance by working periodically in the background. A major re-indexing only occurs after a major OS update. The program detects all bootable volumes available on the system, allowing you to choose the one you’d like to boot from. After selecting a startup volume, you can choose whether to restart your Mac from it immediately or postpone the operation until next time. Thanks to your feedback, we have managed to create a great utility you’re sure to love. Please give it a try, and feel free to provide us with any thoughts or ideas about this new release. It’s free to use until September 1st, 2017, so click here to download the latest version, or check your MyParagon account if you already own a previous version. We just want to let you know that we fixed “Secure Boot” issue in the latest update of HFS+ for Windows 11. We explain what was the hindrance down below. 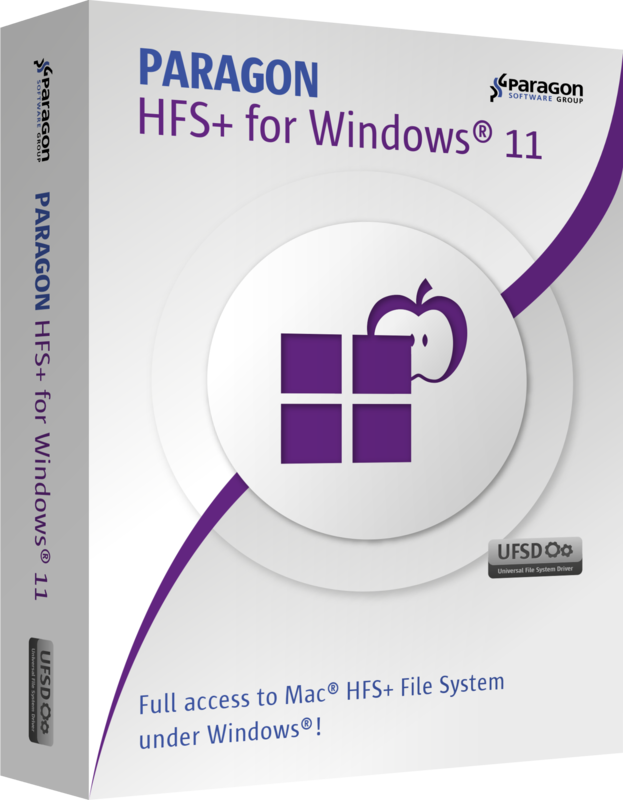 By the way, HFS+ for Windows 11 is a part of Paragon UFSD Value Pack for cross-platform users, that goes with lifetime upgrade assurance. More info at the end of the article. Modern PCs start up with the “Secure Boot” feature, part of the UEFI firmware that replaced traditional BIOS. IBM 5150 used a 16-bit Intel 8088 processor, matching the BIOS itself which allowed 1MB of address space. 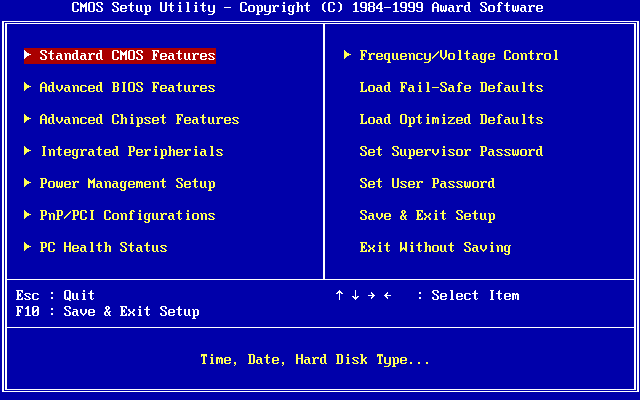 It also used a Master Boot Record (MBR) to specify the computer’s partition table, which in turn told BIOS where the operating system was. BIOS was a good system, providing an interface where you could enable or disable individual components and advanced hardware options. But as time passed, BIOS obsolesced compared to the newer hardware in development. To make up for its shortcomings, extensions were developed. But over time, the limitations had to be overcome by a brand-new system. UEFI soon inherited BIOS’s legacy. Unified Extensible Firmware Interface was originally developed by Intel to circumvent BIOS issues for their 64-bit Itanium-based servers. Many changes were made compared to BIOS. First, the visual layout was fundamentally overhauled. While pictures aren’t necessary, they can be helpful for things like overclocking. 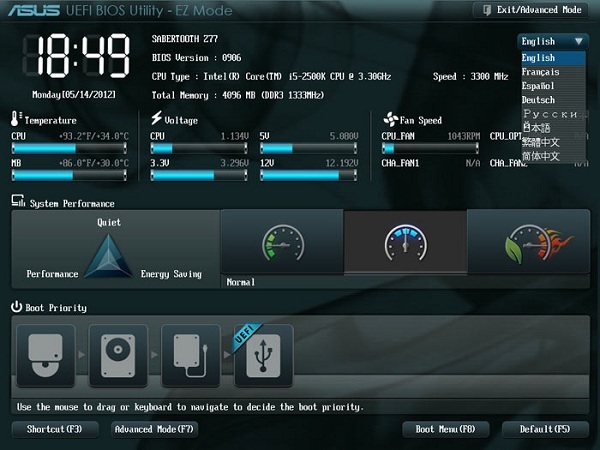 Second, UEFI can function in 32-bit and 64-bit modes, allowing far greater amounts of RAM to be addressed by more complex processes; by comparison, BIOS was limited to 16-bit processes and 1MB of memory addressing. Third, UEFI uses the GUID Partition Table, which utilizes Globally Unique IDs to address partitions, and allows booting from hard disks as large as 9.4ZB (one zettabyte = one billion terabytes), while MBR is limited to four primary partitions per disk and bootable disks are limited in size to 2.2TB. So, the UEFI “Secure Boot” protocol is one the new features that prevents your PC to boot from “untrusted” firmware. When you boot your PC, it checks hardware devices against the configured boot order, then attempts to boot from them. Typical PCs will find and boot the Windows bootloader, which then launches the full Windows operating system. Traditional BIOS will boot any software, and some malwares, such as a rootkit, can replace your bootloader. Rootkits could load your normal operating system with no indication anything was wrong, remaining invisible and undetectable on your system. Secure Boot was designed to prevent this. UEFI checks the bootloader prior to launching it, ensuring that it’s signed by Microsoft. If a rootkit or another malware has forged or replaced your bootloader, UEFI won’t allow it to boot. This prevents malware from hijacking your boot process and concealing itself inside your operating system. However, with the Windows 10 Anniversary Update, Microsoft has changed this policy. All new Windows 10 kernel mode drivers must be submitted to the Windows Hardware Developer Center Dashboard portal (Dev Portal) to be digitally signed by Microsoft. If they were not, Windows 10 could fail to load new, unsigned kernel drivers. Thus, when you install the Windows 10 Anniversary Update, some drivers may not work the way they used to. For instance, our driver Paragon HFS+ for Windows 11 used to require “Secure Boot” disabled, but we fixed it by having it officially signed by Microsoft. 1) Open the PC BIOS menu by pressing a key during the boot-up sequence, such as F1, F2, F12, or Esc (depending on your PC), or hold down the Shift key while selecting Restart while Windows is running. 2) Go to Troubleshoot -> Advanced Options -> UEFI Firmware Settings. 3) Find the Secure Boot setting and set it to Disabled. This option is typically found in either the Security tab, the Boot tab, or the Authentication tab. 4) Save changes and reboot your PC. In conclusion, while Secure Boot does create a safer environment for users by preventing the installation of malicious driver software, not every honest developer has yet managed to pass through Microsoft’s registration process for a variety of reasons. P.S. We have an awesome pack of five useful drivers for cross-platform users – Paragon UFSD (Universal File System Driver) Value Pack. It has been developed for users working with multiple operating systems to instantly solve compatibility issues. The UFSD Value Pack comes with a lifetime free upgrade guarantee, and is available for just $49.95 — a savings of nearly $100 compared to purchasing the included tools separately. For existing Paragon NTFS for Mac 14 customers, the UFSD Value Pack is available for just $19.95 in their personal MyParagon accounts. 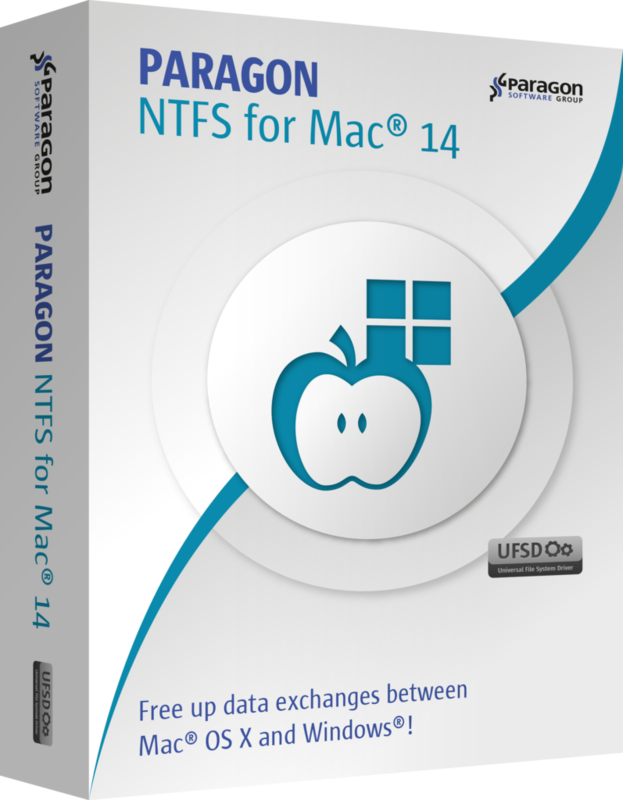 For all users with NTFS for Mac 12 version and lower the final bundle price is $24.95. Meet the first on the market – Paragon exFAT for Android, the Result of Partnership Between Paragon Software and Microsoft! We are pleased to announce Paragon exFAT for Android – the industry’s first consumer edition of the exFAT (Extended File Allocation System) file system technology for Android. As a component of the newly updated Paragon USB Plugin for Total Commander, Paragon exFAT for Android offers instant, non-root, offline access to exFAT data from external storage drives directly on Android smartphones and tablets. For better on-the-go organization and easy mobile access, Paragon exFAT for Android allows users to easily view, backup, copy, and edit important documents, photos, videos, music, and other files between Android mobile devices and portable hard drives or flash drives. For this tool, Paragon Software Group is partnering with Microsoft. “We are excited to collaborate with Microsoft by bringing to the market the industry’s first consumer edition of exFAT file system support and to make it available directly to Android users. One of the most difficult areas of cross-platform computing still remains data sharing between incompatible systems. While networking between the operating systems has become a lot easier, storage sharing is still problematical because of patented file system limitations,” said Paragon Software Group’s CEO Konstantin Komarov. For many users who want to travel light, smartphones and tablets have already replaced laptops. Previously available only as a license-based solution for OEMs, now for the first time this technology is available to Android consumers who require data access to previously incompatible storage devices directly on their mobile devices. “Microsoft is pleased that this new partnership with cross-platform software developer Paragon Software will offer mobile consumers more options and flexibility. By enabling file sharing across operating systems, this agreement demonstrates Microsoft’s ongoing commitment to empower customers and businesses to achieve even more,” said Microsoft’s Vice President and Associate General Counsel Micky Minhas. 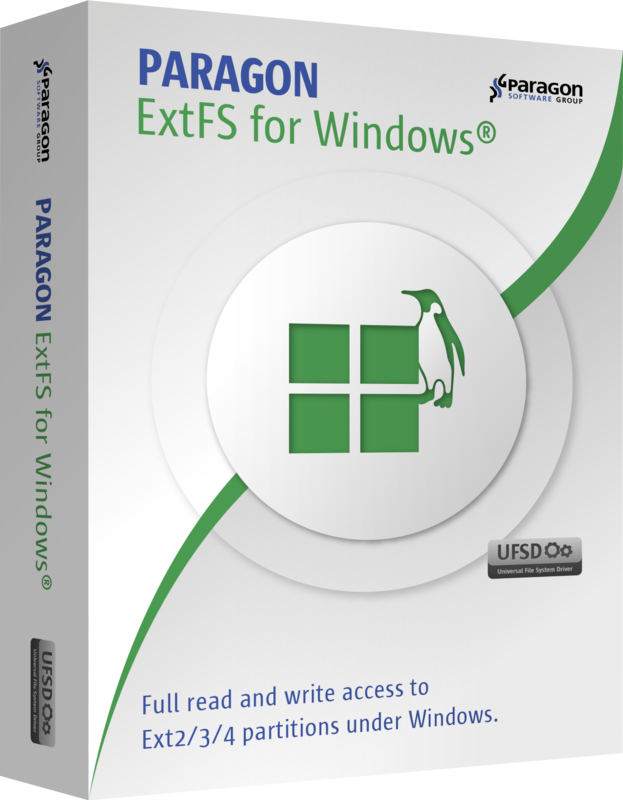 Paragon exFAT for Android is based on Paragon Software Group’s exclusive Universal File System Driver (UFSD) technology, which enables any device to communicate and share files regardless of operating system. The technology incorporates portable implementation support for USB Mass Storage Stack. Beyond access, Paragon UFSD technology provides the highest data throughput speeds possible — equivalent to, or exceeding, native performance. 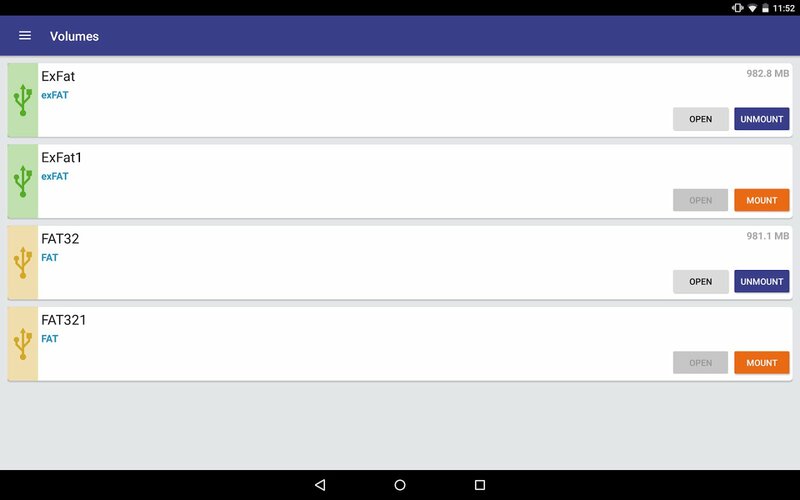 Paragon exFAT for Android is available as a technology component of the newly updated Paragon USB Plugin for Total Commander for Android device users, as well as for licensing to OEMs and ODMs as components of Paragon Storage SDK for Android. Posted on January 24, 2017 Author Sergey.KovchenkovCategories Paragon Software NewsTags Android, exFAT, mobile, plugin, Total CommanderLeave a comment on Meet the first on the market – Paragon exFAT for Android, the Result of Partnership Between Paragon Software and Microsoft! Are you an administrator or a service provider who maintains VMware virtual infrastructures? Need to create an ad-hoc virtual machine backup with minimal time and effort? Or are you looking for an effective way of copying VMs between VMware installations? Take a look at Paragon’s brand new Protect and Restore VM Copy Tool. Unlike other solutions, VM Copy Tool fully encapsulates the target VM, including its current state, all available snapshots, and connected external devices. It does the job even if you don’t use clusters or shared storage, and when vMotion technology isn’t allowed on your VMware license. By leveraging the native VMware NFC (Network File Copy) and Paragon’s data transfer technology, Protect and Restore VM Copy Tool can deploy multiple virtual machines or individual files from one ESX(i) host or vCenter to another in one simple action. 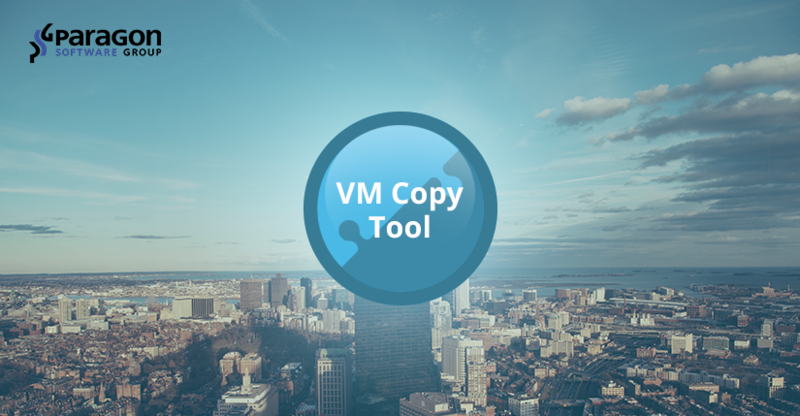 Best of all, VM Copy Tool is free* to use. VM Copy Tool is ideal when you need to create a full backup of a Linux or Windows virtual machine residing on any version of ESX(i) or vCenter from 4.1 Update 3 to 6.5, including its current state, all available snapshots, and connected external devices. You can choose any mounted local or network disks available to the system as a backup location with only a few guided mouse clicks. To minimize network traffic and storage requirements, contents of the target machine are double compressed during the process: First when creating data streams, then again by archiving streams into a .zip file. 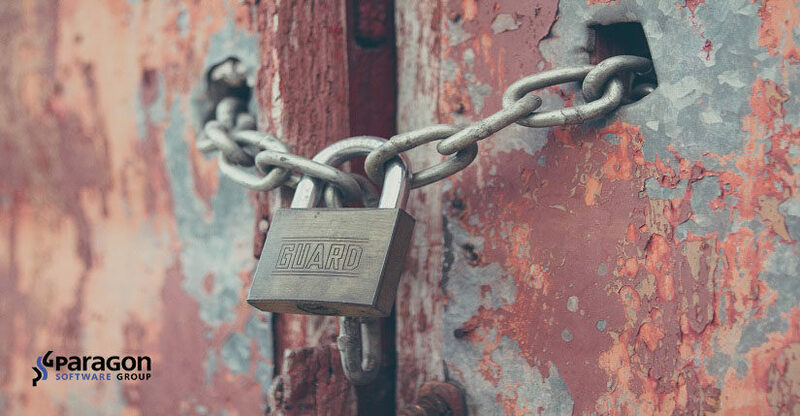 To avoid unauthorized access, VM files are not exported in their original state, but as a set of secure data containers with GUID names, that can’t be parsed by third-party tools. The only requirement is that VMs must be powered off or suspended before creating ad-hoc backup. If you don’t use shared storage or clusters, or your hypervisor’s license doesn’t include VMware vMotion technology, it’s a challenge to migrate virtual machines from one host to another. Sure, you can use VMware Converter or export virtual machines to a “middleman” system, then re-import them into the destination host, but that could take hours and only works with Windows-based guest systems. There are third-party tools on the market to help ease this pain, but if you are looking for real relief, try our free Paragon Protect and Restore VM Copy Tool. Compared to paid VMware vMotion and third-party applications that utilize similar technology, VM Copy Tool doesn’t move VMs to the target host, but creates clones that include not only the current state, but an entire snapshot tree with connected external devices, e.g. ISO-images. VM Copy Tool does the job even if the source and target hardware platforms are completely different. And did we mention it’s free* to use and doesn’t require vMotion in your virtual infrastructure? Want to learn more about Paragon Protect and Restore VM Copy Tool? Please visit our website. * Available free of charge for non-profit usage inside a company only. Paragon Protect & Restore VM Copy Tool is also a component of Standard and Enterprise HDM Technician Licenses. If you would like to use this tool to provide commercial IT services for third-parties, please, consider buying Paragon Technician License. Over the past few years, millions of PCs from around the world have been locked or had their files encrypted as a result of devious malware. According to Kaspersky Security Bulletin, in 2015 there were 1,966,324 registered notifications for attempted malware infections aiming to steal money via online access to bank accounts. Various ransomware programs were detected on 753,684 computers of unique users; more than 179,000 computers were targeted by encryption ransomware. In April 2016, CNN Money reported new estimates from the FBI that revealed the costs from so-called ransomware have reached an all-time high. Cyber-criminals collected $209 million in the first three months of 2016 by extorting businesses and institutions to unlock computer servers. Of course, those big numbers don’t usually affect us, regular users, but we still have our fair share of parasitic programs to be worried about. One of the newest malwares looks like a pop-up message in Safari that signs: “Your Apple Computer has been blocked. Mac iOS alert! System might be infected due to unexpected error! Suspicious Activity Detected. Your Browser might be hijacked or hacked.” It gives you an 800 number to call and the person on the other end of the line offers you to share your screen and tries to sell you $200-cost security software. That kind of ‘warning’ message is a common form of malware itself. The problem is that the pop-up appears every time you try to reopen Safari, and it’s impossible to dismiss the pop-up and then access Safari settings before the pop-up reappears. So how do you access Safari and make sure this doesn’t happen again? Oddly, there’s no way to reset Safari’s settings from outside of the app. First, try the most standard ways to work around a malicious webpage in your browser. – Launch Safari with the “shift” key held down. This should prevent Safari from opening the pages from the last session. – Load Safari, then Control-click on its icon in the Dock and choose Force Quit. Try this a couple of times and Safari may get the message that there’s something wrong on startup and start without loading anything. – Update to El Capitan or Sierra if you haven’t already. Apple added a lot more malware protection in the new OSes, including fixes that stop many browser-based hijack methods. – Disconnect the computer from the Internet. If there’s no malware hosted locally, the pop-up can only be generated by loading a remote webpage that’s set as the home page. Open your Safari preferences and check, if your home page had been set to an unknown domain. Delete that URL from your Safari settings and turn the Wi-Fi connection back on. However, the most efficient way to protect yourself is to back up your system to the state before malware hit your machine. For example, the most recent hacker attack on the San Francisco transit system, in which hackers tried to extort about $73,000 from the transit service in exchange for giving back control of their computer system, ended up relatively well. That’s because Muni, which runs San Francisco’s bus, light rail and trolley car systems, had a backup of its system and, as a consequence, no customer data was stolen. One of the most popular backup tools is Time Machine – the built-in utility for Mac, introduced with OS X Leopard. Time Machine works at the file level, which is inefficient when dealing with an active operating system and running applications. Files should be unlocked or closed for proper backup, which is not an option with most system files and those used by currently running apps. Time Machine waits until user applications are closed and locked files become available to process, ignoring system files completely. That’s why OS X has a two-step restore procedure: The user first reinstalls the operating system before retrieving application and user files from the backup image. There’s a better backup approach based on system snapshots, which considerably reduces backup and recovery times. Snapshot is like taking a photo of your file system, excluding changes made after that point. They will still be present on your hard drives and will be included with the future backups, but not the current one. That’s exactly why this is the only backup method that can be used to protect an active operating system. Additionally, although Time Machine waits until running applications are closed and locked files become available, the backup operation obviously takes more time than if it’s done with a snapshot-based utility. 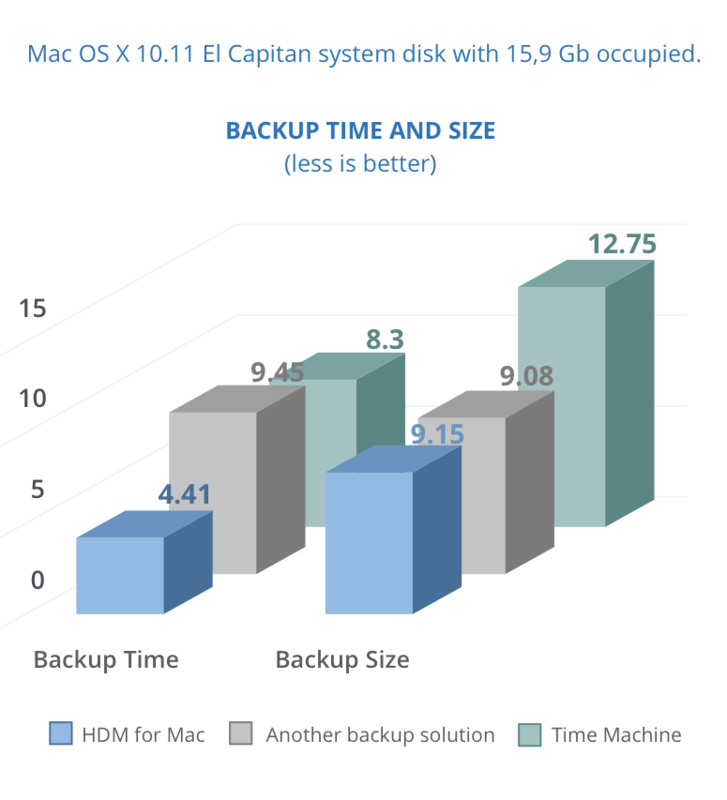 To illustrate the difference, we performed an internal lab test, comparing the brand new Paragon Hard Disk Manager for Mac against Time Machine and another popular file-level backup solution (test results and graphics are available upon request). 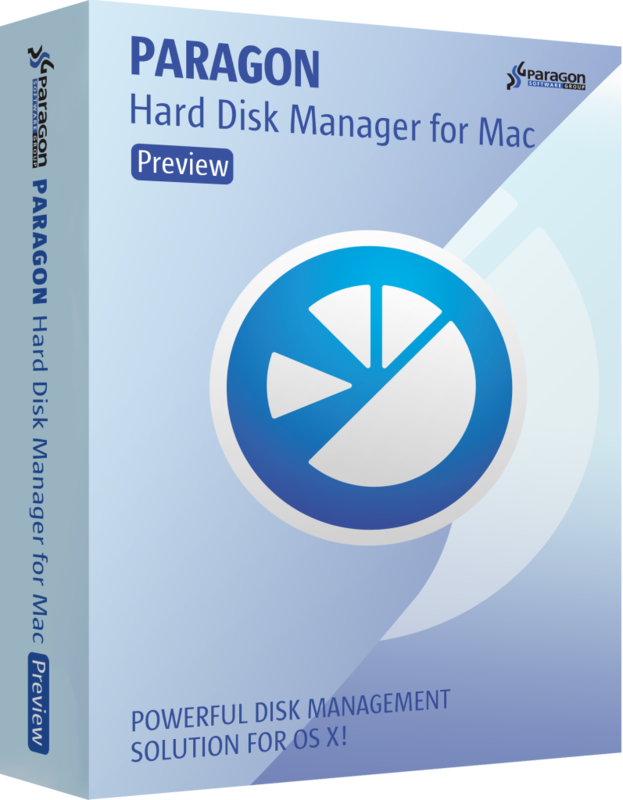 Paragon HDM for Mac is designed to create instant copies of a disk (or several disks) at a specific point in time. This technology takes consistent snapshots of both inactive and in-use partitions. Unlike Time Machine, HDM provides snapshot-based backup and operates at the sector level, achieving superior performance and speed. As you can see from the graph above, it takes Hard Disk Manager far less time to back up 9.15 Gb of information than Time Machine or a similar solution. HDM for Mac comes with improved snapshot technology, enabling consistent image backups even as the data is being modified at that moment. So, if you want your Mac to be malware-proof – always back it up! By backing up your system, you save valuable information and a lot of time should you need to restore. A few weeks ago, Apple has finally presented a much-anticipated update to the new MacBook Pro. The most powerful and thinnest MacBook up to date, it has been redesigned, stuffed with improved hardware and amazing new features. One of the new features setting the new MacBook Pro apart from the previous models is a brand new Touch Bar, built into the keyboard. It is a multi-touch OLED display panel that offers contextual controls and visual settings that change based on what app you’re using. You can interact with the Touch Bar through taps, swipes, and other multi-touch gestures, with the display supporting input with up to 10 digits at a time. All existing Apple apps have been updated to take advantage of the Touch Bar, and many third-party developers like Photoshop, Pixelmator, Affinity Designer, DaVinci Resolve, Sketch and others already have plans to build in Touch Bar support and special controls into their apps by the end of the year. Display in the machine has been significantly improved and goes in 13-inch and 15-inch versions. It’s brighter, offers better contrast, and includes wide color gamut support for richer colors, especially in the green and red spectrum. However, resolution remains the same: 2560 x 1600 on the 13-inch display and 2800 x 1800 on the 15-inch, but the screen still looks amazing. Apple’s 15-inch MacBook Pro is the most powerful portable notebook computer the company sells, with quad-core processors, with built-in Intel HD Graphics 530 and with discrete graphics cards from AMD, and a larger size setting it apart from the 13-inch machine. With CPU, GPU, and SSD improvements, Apple says the 15-inch MacBook Pro is 57% faster at video editing , 130% faster rendering 3D graphics, and 60% faster for gaming compared to 2015 MacBook Pro models. Base models come with 2.6 or 2.7GHz quad-core Intel Core i7 processors and can be upgraded to a 2.9GHz quad-core Intel Core i7 processor with Turbo Boost up to 3.8GHz. Two base machines includes Radeon Pro 450 and 455 (each with 2GB VRAM), while the Radeon Pro 460 with 4GB VRAM is available as an update option. The 15-inch MacBook Pro will switch between the two graphics cards to maximize battery life. The low-power integrated card will be used for non-intensive tasks, while the Radeon Pro will be used for something that requires more GPU power such as 3D rendering or video editing. 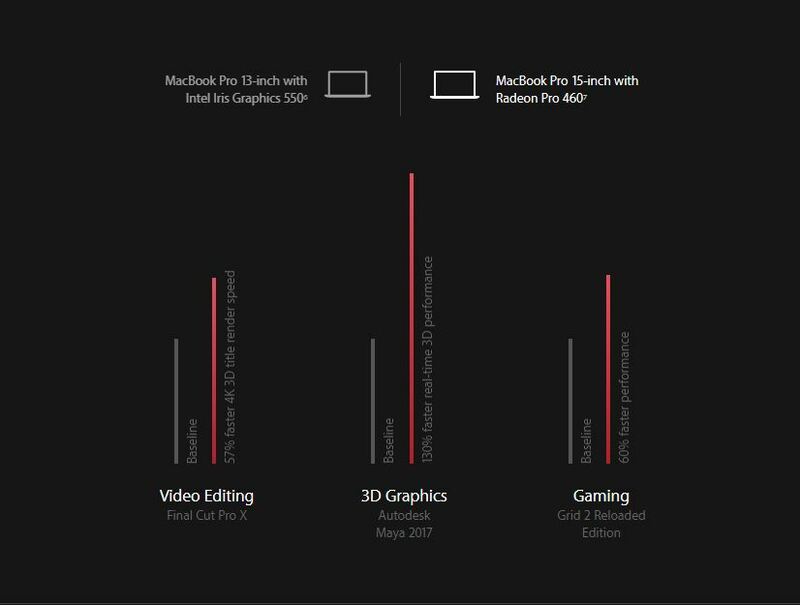 Built on a 14-nanometer process, the Radeon Pro would be up to 2.5x times more powerful. Overall, the new 15-inch MacBook is a powerful workstation for media professionals of any kind. With all new features and hardware, the new machine would easily handle any task with graphic design or video editing. By the way, the component that has received one of the biggest upgrade in the MacBook Pro, is the SSD. 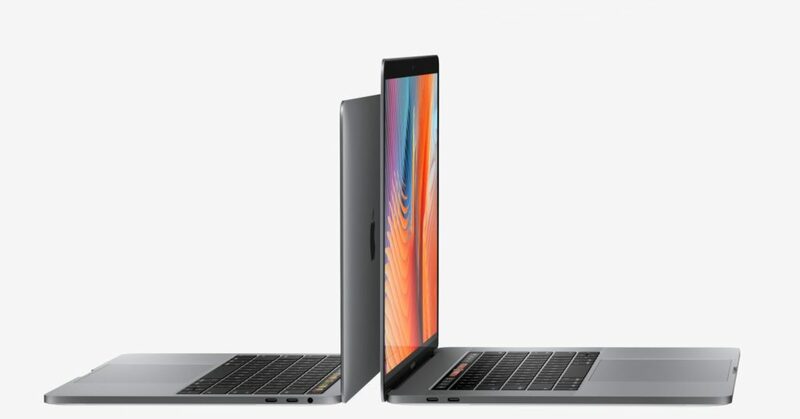 256Gb base storage space and a possible upgrade up to 2TB, and a reading speeds of 3.1GB/s and writing speeds up to 2.2GB/s, makes new MacBook Pro is twice as fast as the SSD in previous MacBook Pro models. All that calls for the best software to handle large amount of information being transferred and written to an external flash or hard drive. And that’s when our software comes to help. 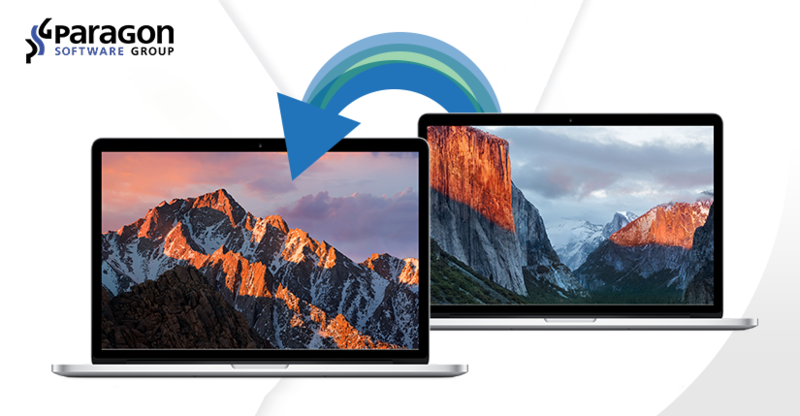 With the new update, ExtFS for Mac 10 now can quickly mount even large, 2TB volumes. And with NTFS for Mac 14 you’ll get full read/write access to any version of NTFS under macOS with the transfer rate is the same as with the native HFS file system! Once you decide to buy this Apple’s Lamborghini of laptop computers, you have to transfer all the data from your old MacBook or iMac. 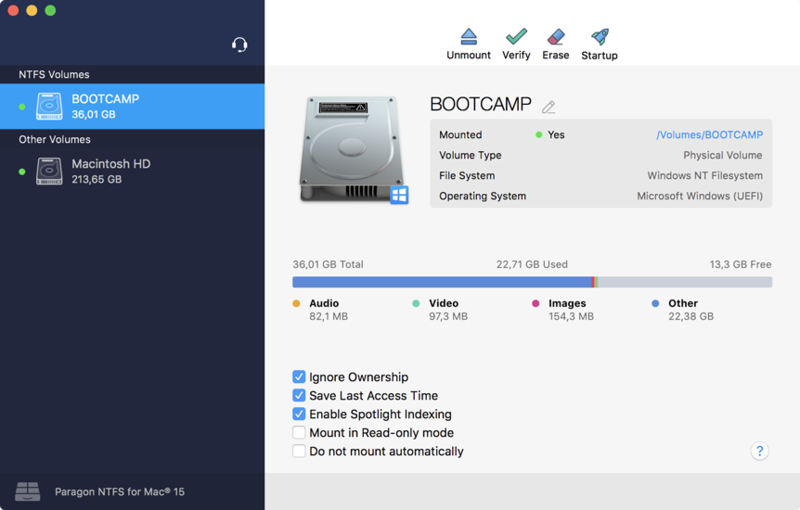 Of course, it’s possible to do with inbuilt Mac utilities, like Time Machine or Ethernet cable, but the most reliable way is to make a full copy of your disk, using a specialized third-party utilities, such as Hard Disk Manager for Mac. Power up one your new Mac while holding the ‘T’ key down to enter Target Disk Mode. Once the machine starts up in Target Disk Mode, it will appear as a disk icon on the desktop of the other computer. Connect your Macs via cable. Open Paragon HDM for Mac on your old machine. 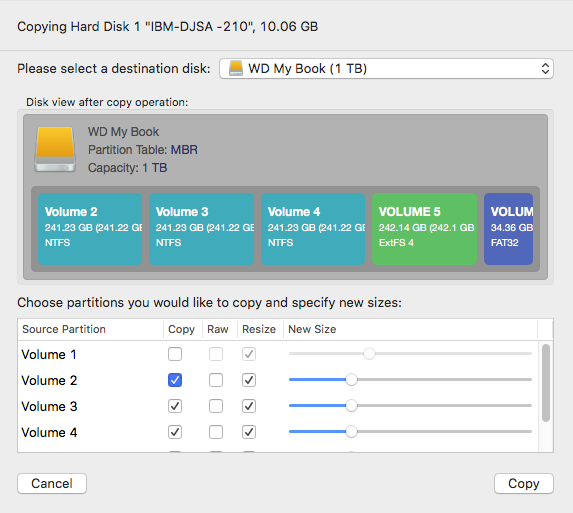 To launch the “Copy Hard Disk” wizard, right-click on the hard disk (largest rectangle with partitions inside) and select “Copy Disk”. Specify the target hard disk using the drop-down menu. If you wish to copy the entire hard disk, leave all Source Partitions checked. You may also want to uncheck Resize boxes for this scenario. Otherwise, uncheck “Copy” box for partitions you wish to leave behind. 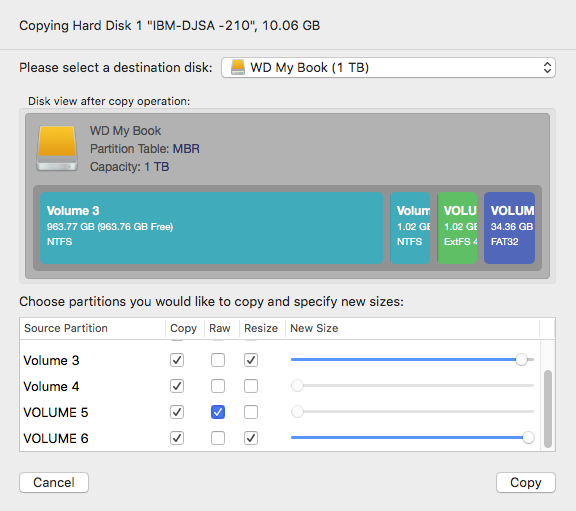 Use “Raw” option to copy partition in sector-by-sector mode, making the resulting partition fully identical to the original one. This also helps to avoid problems with processing unrecognized or protected file systems. Click “Copy”. You can now preview your changes! Press “Apply Operations”, then – “Apply”. Done! That saves a lot of time and only depends on the cable’s transfer speeds you use. No dependence on Wi-Fi connection or Internet speed. Also, make sure to power plug your machines! When you are done, you can use your new Mac as if you were using you old one. 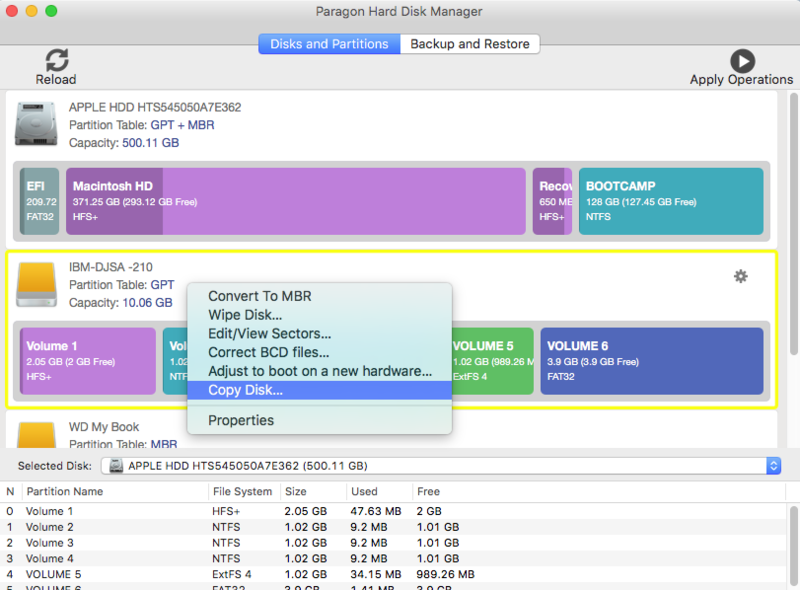 Paragon Hard Disk Manager for Mac is not just for copying — it’s a powerful application that covers all aspects of the computer’s life cycle, including drive partitioning, file system optimization and repair functions, data backup capabilities, and irreversible data wiping. It also supports the file systems of OS X, Windows, and Linux. 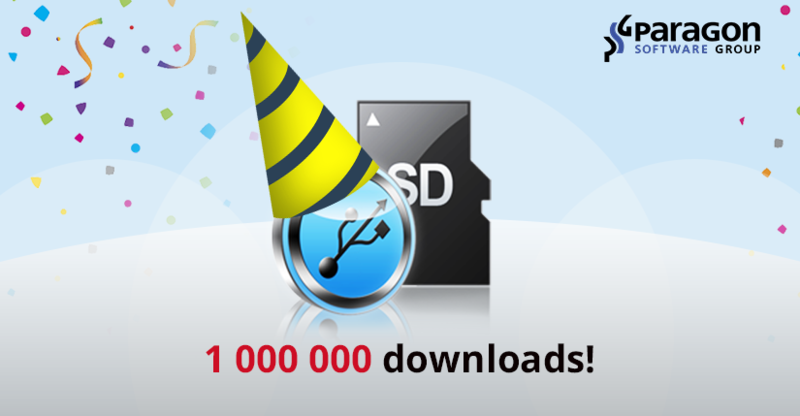 NTFS & HFS for Android app has reached 1 000 000 installs on Google Play! Even though Android as an operating system is strengthening its protection policy, over 1.000.000 users have downloaded and installed Paragon NTFS & HFS for Android app from Google Play! This cross-platform tool for NTFS and HFS+ partitions allows you to easily manage your files: copy, repair or modify your data anyway you like. With automount option any inserted SD cards, USB flash cards, and all NTFS and HFS+ partitions will be automatically mounted. Attach a USB flash card, hard drive, PC, Mac or any other device with NTFS or HFS+ partition and transfer any data as if it was default FAT32 system. Imagine the following scenario: unplug your SD card or USB Flash from the desktop PC without having to take further actions – like clicking on the “safely remove” tray app. 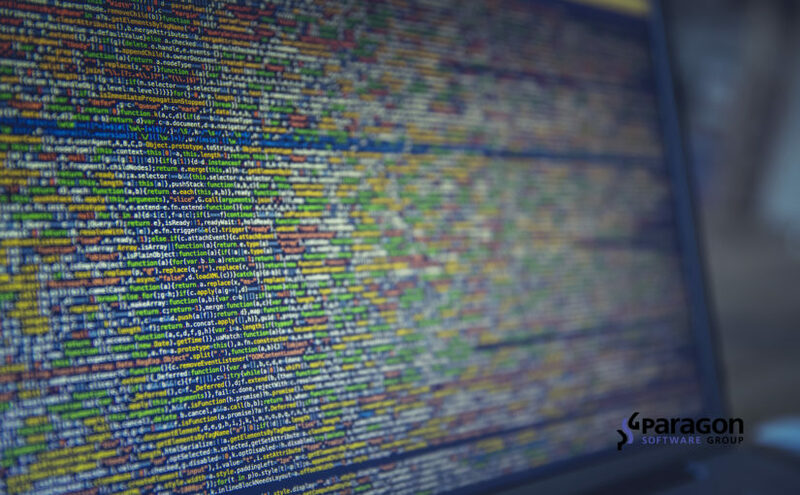 Some non-completed file system operations can damage data. Our solution to this problem is to assure complete safety through a technology that responds to the transactions before any other application starts working with the media. With a strong journaling capability you can safely complete uncompleted transactions even after unsafe media removal. 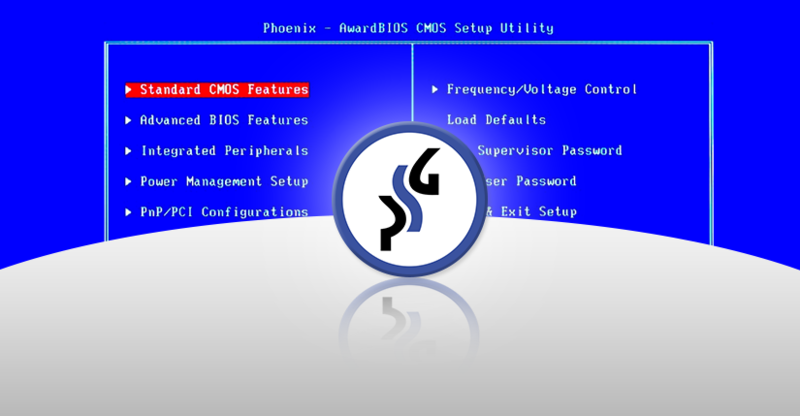 Paragon Software Group is the first software developer to implement a full set of drivers with read-write access to partitions of any file system, and delivers the highest performance cross-platform technologies — proven by millions of installations around the world from consumers to embedded systems manufacturers. Intel, Nvidia, Broadcom, Realtek, Huawei-HiSilicon, Marvell, Telechips, Acer and many other companies have selected our solutions for use in some of the world’s best-selling devices. For more information about NTFS & HFS for Android app click here or download it from Google Play for free. Posted on October 10, 2016 Author Sergey.KovchenkovCategories Paragon Software NewsTags Android, hfs, mobile, ntfsLeave a comment on NTFS & HFS for Android app has reached 1 000 000 installs on Google Play! When one is not enough, get five! 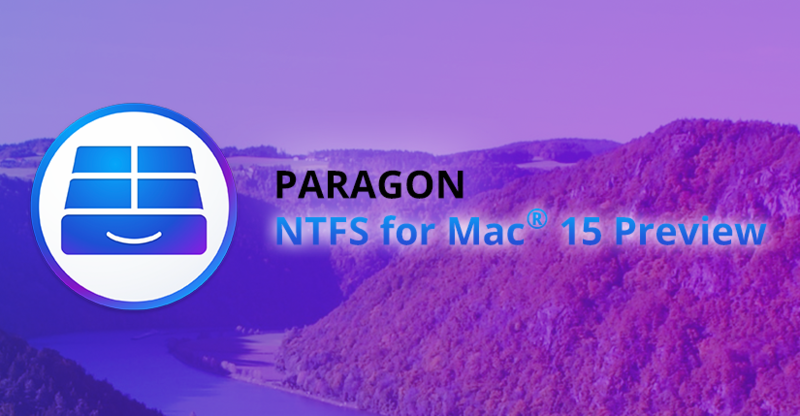 We are proud to release Paragon UFSD (Universal File System Driver) Value Pack – a bundle of five essential cross-platform tools: NTFS for Mac, ExtFS for Mac, HFS+ for Windows, ExtFS for Windows, and NTFS-HFS Converter, powered with Lifetime UPGRADE ASSURANCE for each product in the bundle. 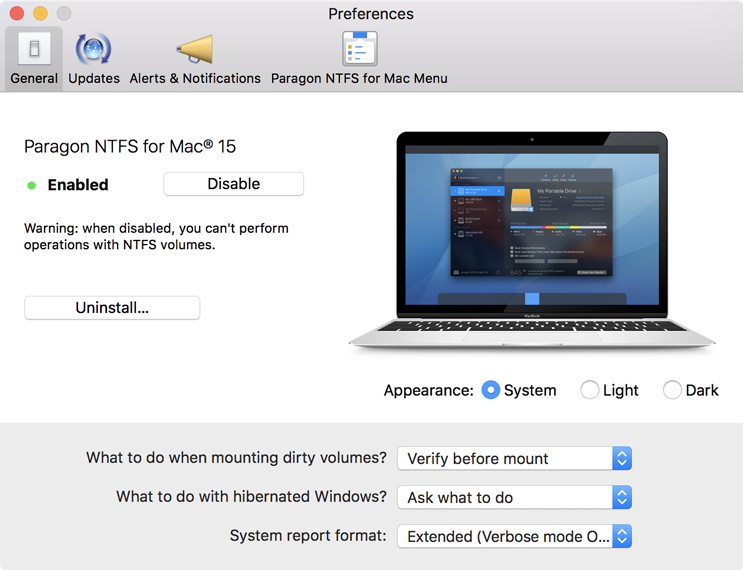 Paragon NTFS for Mac® 14: Full, ultra-fast read/write access to NTFS partitions under macOS. Paragon ExtFS for Mac® 10: Full read and write access to Ext2/3/4 partitions under macOS with data transfer rate similar to native file system performance. The same driver also checks, repairs, creates, and formats Ext2/3/4 volumes. Paragon HFS+ for Windows® 11: The only solution with full access to HFS+ partitions on disks of any type (GPT, MBR), with higher transfer rates than native HFS file-system performance. Paragon ExtFS for Windows®: Fast and transparent access to Ext2/Ext3/Ext4 partitions under Windows; read and write support for LVM (Logical Volume Management). 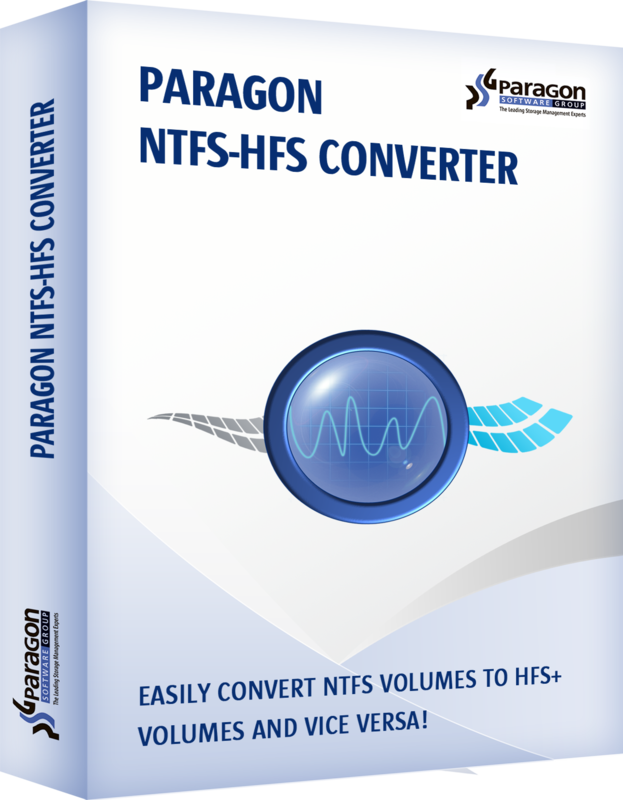 Paragon NTFS-HFS Converter: Converts NTFS volumes to HFS+ and vice-versa, with a backup option. 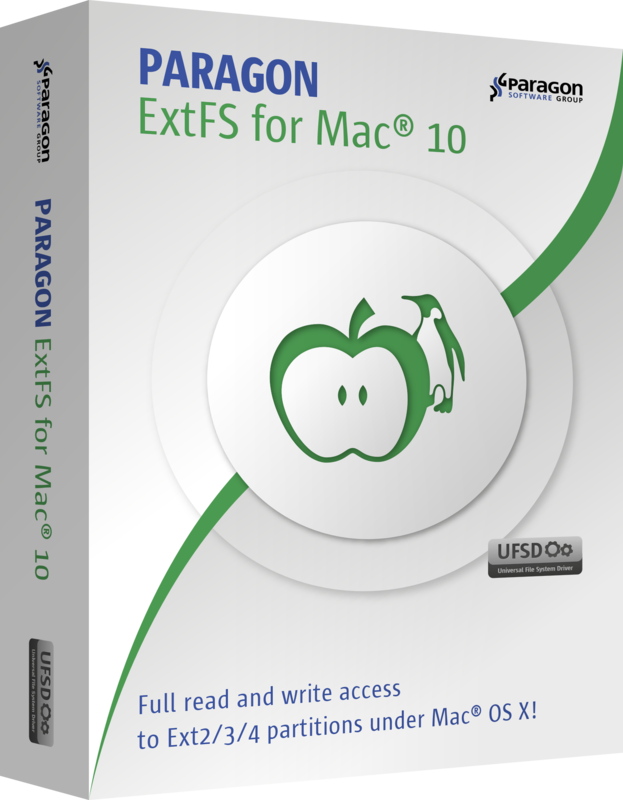 Paragon UFSD Value Pack includes the essential tools for unprecedented high-performance read and write access to NTFS, HFS+, and ExtFS partitions from macOS or Windows-based systems. 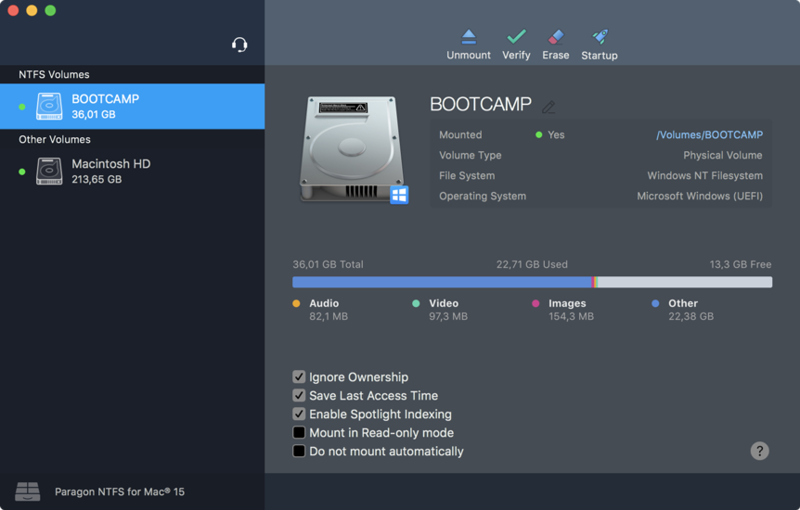 With Paragon UFSD Value Pack installed, dual-boot users can easily write files to NTFS-formatted USB flash drives, SSDs, or traditional hard drives, and copy data to NAS-based storage from a macOS-based computer. All these products come with lifetime free upgrade guarantee, which means free upgrades for all included tools delivered directly to the user’s personal MyParagon account, plus free online support! Paragon UFSD Value Pack is available here for $49.95. Still have questions? Check this detailed support FAQ! Posted on September 23, 2016 Author Sergey.KovchenkovCategories Computer Backup, NTFS for Mac, Paragon Software News, Universal File System DriversTags bundle, ExtFS, hfs, mac, NTFS for Mac, WindowsLeave a comment on When one is not enough, get five!